First, let me say I’ve never written a political blog post. I don’t care about politics or who becomes president. I believe it doesn’t make a bit of difference who is in the White House. The bureaucracy is so huge, one man can’t make a difference. I believe that government is best left to fixing roads and defending the borders. But there is a lesson to be learned about this election, just keep trying. Back in my younger days, before I became jaded and cynical (just kiddin, I’ve always been jaded and cynical about politics), I thought the government needed to be run more like a business than, well, a government. That was a long time ago (for me). Pierre “Pete” duPont threw is hat into the ring. 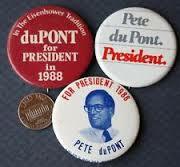 Mr. duPont, of Dupont Chemical fame worked for the giant corporation for seven years before coming to politics. Pete wanted to get welfare recipients into the workforce, allow people to fund their own retirement in exchange for less government benefits, and require students to randomly take drug tests and if they failed the test, they lost their license. Oh, and he wanted to end subsidies for farmers. duPont finished next to last in the New Hampshire primary and dropped out of the race. I thought his ideas made sense, but never got a chance to cast a vote for him. 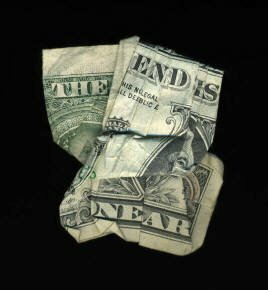 Talking about ending farm subsidies in Iowa, while bold, is not likely the best politics. That was one of the reasons I liked him; he wasn’t the usual politician. 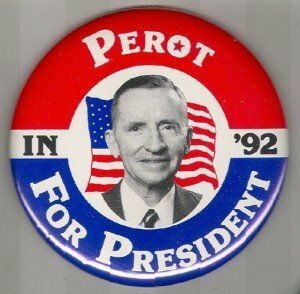 Ross Perot came along in 1992. Another businessman with a lot of money, Ross wanted the country to be run more like a business. He wanted a balanced budget, a stronger war on drugs, and town hall meetings to discuss the serious issues of the day. Ross spent a bunch of his own money on his campaign. He took donations, but had a $5 limit. Again, not run of the mill politics. While Ross came across as a tough and savvy businessman, he was manhandled as a politician. In the summer before the election he was holding his own against Bush and Clinton. The found was to attack him and he dropped out. Quit. Then he jumped back in in October. The country had supported him because he hadn’t been wishy-washy and then he was. The Donald is in the race now. I think he is spending his own money. He seems to have touched the heart of one segment of the electorate. He’s making people nervous because some say he has a chance to win. The lesson of politics: Keep trying. You want blacks to be free, keep trying. You want women to vote, keep trying. You want gays to be able to marry, keep trying. You want a businessman to be President, keep trying. If it doesn’t work the first time, repackage it and try again. If it doesn’t work the second time, change the name a bit, and try again. Eventually you’ll figure out how to make it happen. Now, if we could just find a way to get those roads fixed.